The most visible form of fee fraud today is the Nigerian Letter or 419 fraud. 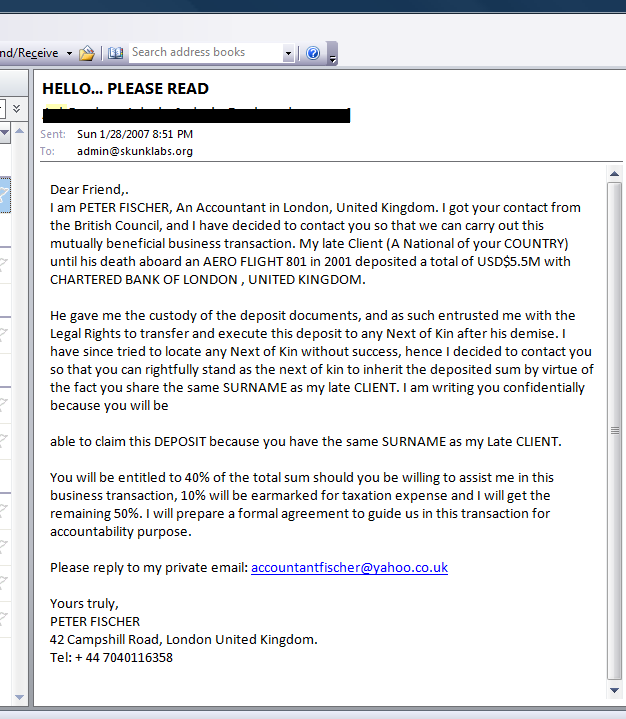 A typical letter claims to come from a person needing to transfer large sums of money out of the country or from a lottery company. As the Nigerian letter has become well known to potential targets, the gangs operating the scams have developed other variations. So apparantly, the Nigerian Scammer has shifted base out of Africa and into the Queen’s country, England. Below is a picture of the email.